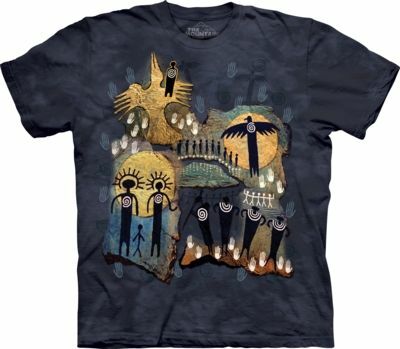 The story of the Flight of the Shaman is depicted with Native American petroglyphs. 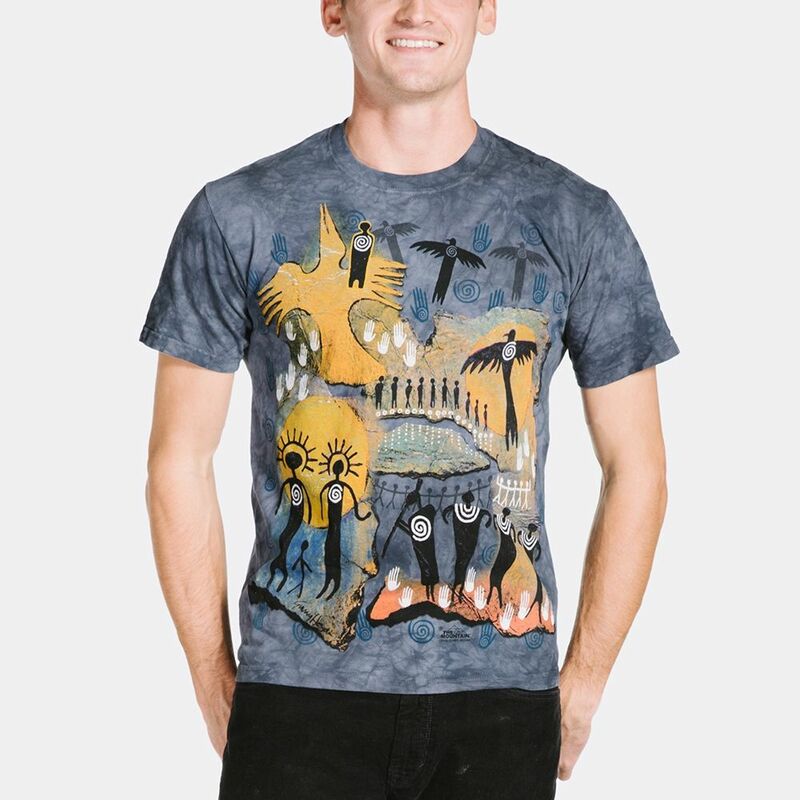 Petroglyphs are pictures and symbols picked out and painted on walls of caves. 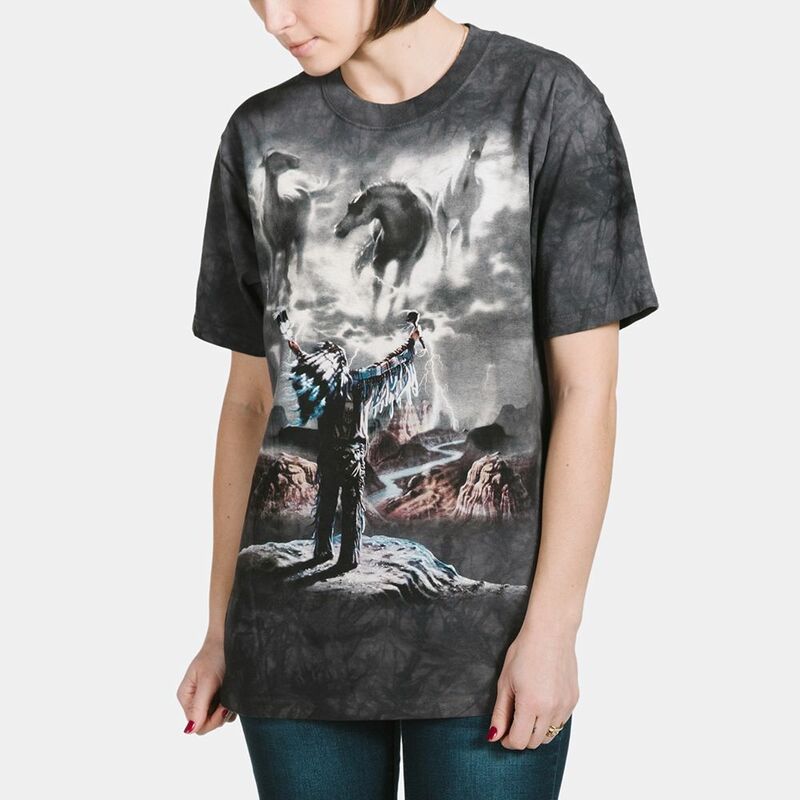 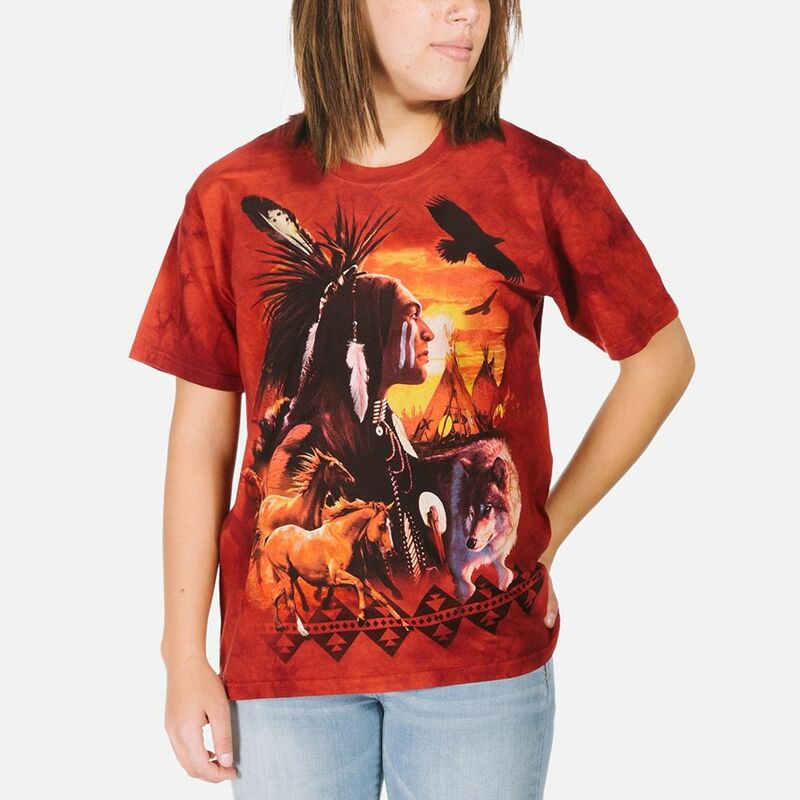 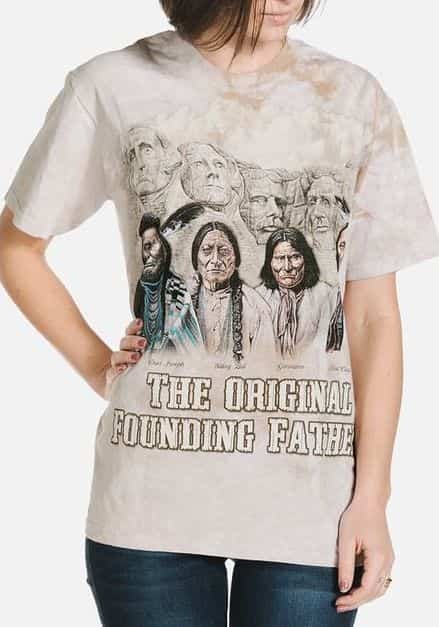 This unisex Native American t-shirt design from The Mountain® is suitable for men or women.